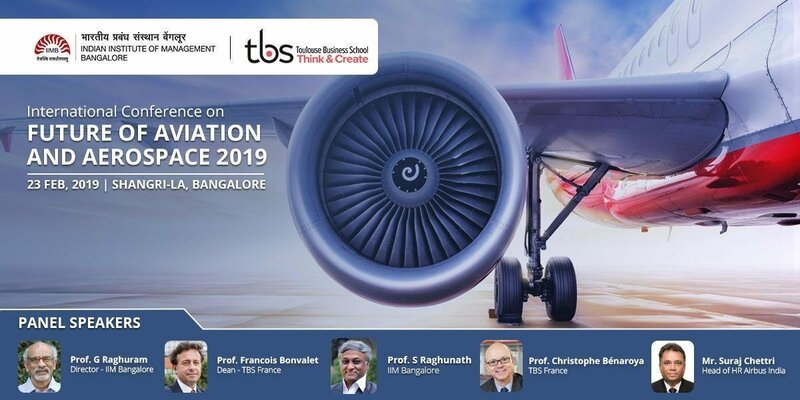 In Bengaluru (India), on Feb. 23, 2019, Indian Institute Management Bangalore and Toulouse Business School are organizing the 2nd International Conference on “Future of Aviation and Aerospace 2019” with the support of AerospaceMBA Alumni. 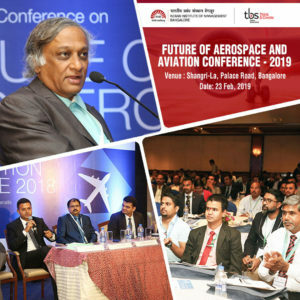 The conference will start at 9.00 am and will end at 6.00 pm. Hello, I registered online and paid the conference fee by credit card but not received any acknowledgement/confirmation yet. Please update. Thanks.